My husband and I recently celebrated our 1-year anniversary on the 23rd of September. We had a wonderful weeklong trip planned to Hilton Head the week prior, but unfortunately had to cancel since Hurricane Florence decided to show up and ruin our plans. We haven’t rescheduled our trip yet, as we are trying to figure out when we’ll squeeze in the time with the holidays and important birthdays right around the corner. For the time being, we decided to take a quick trip to Charlotte, NC, just to get away for a day or so. Charlotte is always a fun time. My husband and I really didn’t’ have any plans besides relaxing and hitting up the mall, which is honestly one of my favorite things to do in the Queen City. We stayed at one of our favorite hotels, the Marriott South Park which is walking distance to the South Park Mall. After spending a few hours at the mall and eating, we retired for the night back to the hotel. 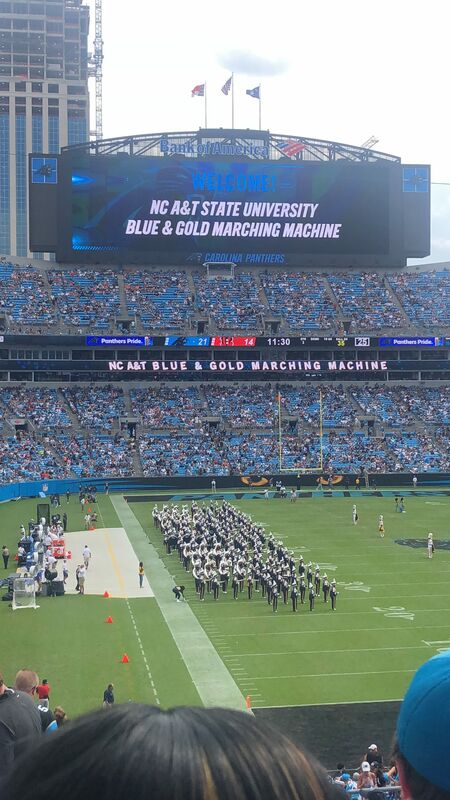 On Sunday (our anniversary), we discovered that our Alma Mater, NC A&T SU was performing at halftime for the Carolina Panthers game. On the spur of the moment, we found great tickets and decided to go for it! 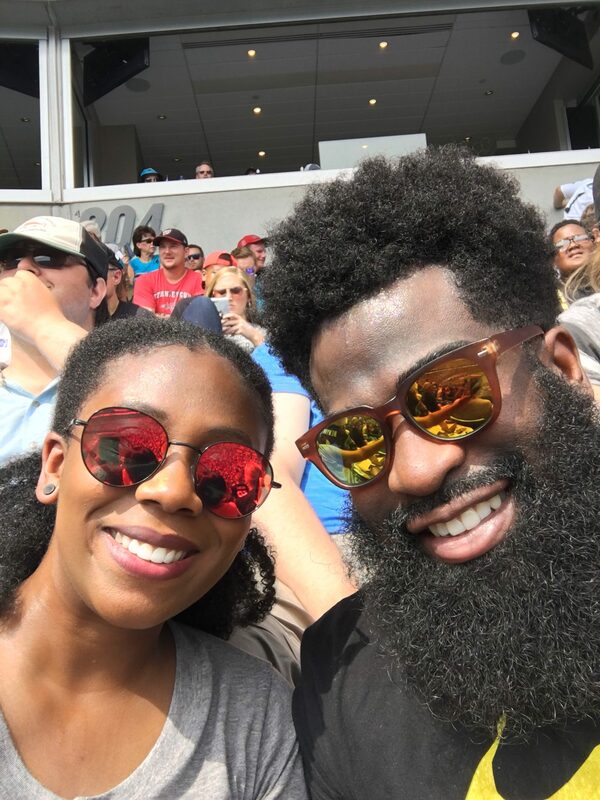 I’m not the sports fanatic that my husband is, but I will say that I find the games to be more enjoyable in person as opposed to watching them on TV. When you’re actually there, you get to enjoy the full experience; the excitement from the crowd, the tasty, yet expensive food at the concessions, the half time show, cheerleaders and any other acts they may have performing. It was a special treat to see the Blue and Gold Marching Machine perform. They always put on a stellar performance, and it was wonderful to see other people show their appreciation for our beloved HBCU. If you’re in the Charlotte area, definitely take the time to check out an NFL game. My husband is already making plans for us to check out the Panthers again this season, and we even hope to attend an NBA game early next year. Have you been to an NFL game or seen the Carolina Panthers in action? Tell me about your experience in the comments below!